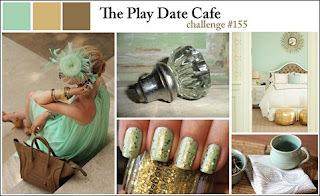 The colors this week are Mint, Gold and Leather. I may try doing the tag again so it reads better. The tag says "You are amazing!" Another Cards for Hospitalized Kids. What a lovely tag and for such a lovely cause. Thanks so much for joining us at the play date cafe! 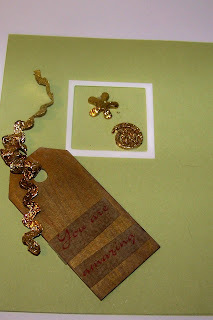 Nice work..I love tags! Thanks for playing with us at The Play Date Cafe!